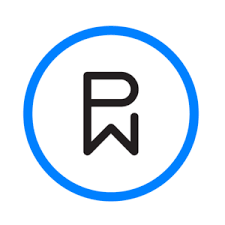 Phunware Inc (NASDAQ: PHUN) stock surged 58.16% on March 21st, 2019 after the company posted 2,060 Basis Points increase in the gross margins to 61.8% to $19.1 million & 64% decline in the net loss. The stock lost over 4% on 22nd march, 2019 (As of 10:56 am GMT-4 ; Source: Google finance). The company has completed the merger with Stellar Acquisition III, Inc. and commenced trading publicly on Nasdaq, particularly due to the tumultuous demands in the market. In FY 18, the company reported 16% growth in the net revenues year-over-year to $30.9 million and Platform subscriptions and services revenue increased 18% to $19.4 million. Non-GAAP Adjusted EBITDA improved by $15.5 million to ($8.6) million compared to the prior year. Meanwhile, PHUN has recently appointed the three new independent directors to its Board. Joined the company’s Board of Trustees are Keith Cowan, CEO of Cowan Consulting Corporation, Lori Tauber Marcus, Founder of Courtyard Connections, and Kathy Mayor, CMO of BoxyCharm. Keith Cowan is an experienced executive officer, board member, advisor and investor. He has been CEO of Cowan Consulting Corporation since 2013. Prior to this he was President of Strategic Planning and Corporate Initiatives for Sprint Corporation. Lori Tauber Marcus combines strategic vision, strong business and general management acumen with direct-to-consumer expertise in e-commerce, digital marketing and social media. Ms. Marcus sits on the board of Golub Corporation, the advisory board of Meural, Inc., and is Chair of the Board of DNA Diagnostics Center. Kathy Mayor is the Chief Marketing Officer of BoxyCharm, a beauty subscription service company. Moreover, PHUN and Applaudo Studios, a custom mobile and web software development group, announced that Applaudo is the first software development organization to be certified as a Phunware Phenom Certified Developer. Phunware created the Phenom Certification program to give software developers the training they need to leverage Phunware’s pioneering Multiscreen-as-a-Service(MaaS) platform for their own customers in order to create best-of-breed, end-to-end, mobile solutions. Applaudo, headquartered in San Salvador with offices in Austin, Texas, has worked with Phunware in the past as a software fulfillment partner. With their new Phunware Phenom Certification and their client base and expertise in Latin America, Europe and the Middle East, Applaudo is poised to be the first channel partner for Phunware as it expands its global presence providing brands with MaaS-powered mobile solutions alongside PhunCoin, Phunware’s blockchain-enabled data exchange and mobile loyalty ecosystem. The opportunity to use the MaaS platform will give our team a competitive advantage in the mobile application development marketplace, as the program allows us to work directly with Phunware in building mobile solutions for the world’s biggest brands.